The owner and president of Crandall Custom Homes, LLC - Dustin Crandall, got his start in construction at the early age of 9 years old going to jobsites and helping his Dad wire residential and commercial projects in and around Monmouth, Illinois. In high school, Dustin had a yard mowing business taking care of 12 yards per week and in college he started his own tile installation business. 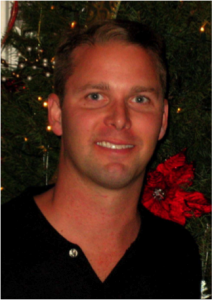 After graduating from Western Illinois University, Dustin went to work with Caterpillar, Inc. as an Engineer, Machinist, and Marketing Rep. After 12 years with the company, he and his wife left the corporate world and started Crandall Custom Homes, LLC in Scottsdale, AZ. Since its start, in 2005 Crandall Custom Homes, LLC. has been building and remodeling custom homes in the Phoenix, Arizona area. Dustin personally oversees all aspects of Crandall Custom Homes, to ensure quality and safety are top priorities along with a total commitment to excellence on every project. There is no job to big or too small for Crandall Custom Homes, LLC. We hope you enjoy our web site and look forward to the opportunity to work with you!